Bangalore-based digital media and content services company Trivone Digital Services Pvt Ltd has raised an undisclosed amount in a series A round of funding from Accel Partners, the company has said in a statement today. The proceeds will be used to meet working capital requirements and also to push growth through the inorganic route in the months ahead. 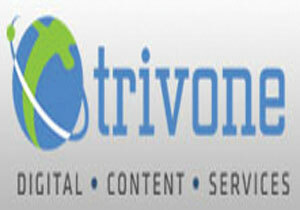 Promoted by veteran journalist L. Subramanyan, Trivone manages three IT media properties including Techtree.com, consumer technology portal CXOtoday.com and Channeltimes.com. In May 2011, the company acquired the management rights for the three portals from UTV. The firm also undertakes managed services including creating, editing, sourcing and packaging content for online delivery and provides outsourcing solutions for all digital content assets to a wide variety of clients. "Given the media and content expertise of the team, Trivone is well set to build a best-in-class digital media company," said Mahendran Balachandran, Partner at Accel India, while commenting on the investment. In November this year, Accel Partners raised an all-new $155 million venture capital fund that casino would focus on seed and early-stage investments in India. Accel India III is nearly two-and-a-half-times bigger than its predecessor Accel India Venture Fund II that raised $60 million three years ago. With the inception of the new fund, the assets under management of Accel India will reach $235 million across its three early-stage funds. Incidentally, the firm is led by four Partners â€“ Mahendran Balachandran, Shekhar Kirani, Subrata Mitra and Prashanth Prakash.